Kitchen trends for 2018. See the latest kitchen designs for 2018! The kitchen is often considered the centrepiece of a home, designed to provide a central location for both family time and food production. 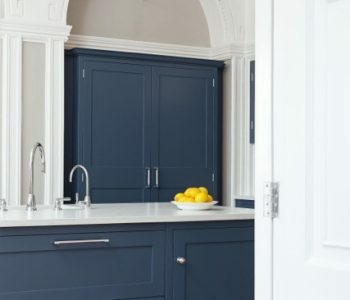 If your kitchen is feeling a little dull or drab, why not spruce it up with some of the kitchen trends set to be big this year? A little inspiration can bring life back into one of the rooms where you spend the most time! The time for neutral and monochrome colour schemes for kitchens is officially over, so get ready to embrace colour in many different ways. Whether that’s a new coat of paint on the walls, or a vibrant pop of colour for your kitchen cabinets, bringing bright tones into this room can help to reflect the personalities of the people who use it, or theme the room around its purpose – either light and bright for a cooking space or a darker, more sophisticated feel for an entertaining area.Embrace the Scandinavian theme of pops of colour, integrate Pantone’s colour of the year – ultraviolet – or even go for all-out colour clashes to really liven up the space. Even your worktop can have bright colours. Pictured – Samsung Noble worktop options. If you’re still leaning towards a more neutral kitchen space, polished concrete – for both countertops and cabinet doors – is on the rise. Concrete effect cupboard doors, either sprayed with concrete or simply designed to look like concrete – add a level of industrial flair to the design of the kitchen. Another benefit to including concrete effect finishes in your kitchen is that, due to the monochromatic colour scheme that the concrete provides, you’re able to accessorise the kitchen in any colour you wish. Common additions to this kitchen trend include metallic finishes in gold or copper, or pastels like yellow, pink or blue. Stone worktops have been a kitchen staple for many years, and 2018 is no different. 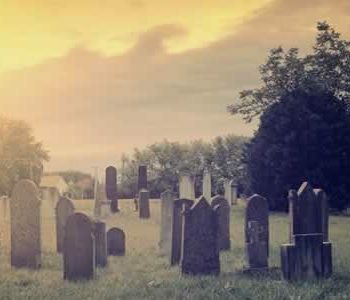 The call for a smooth, easily wipe-able surface made from a beautiful, hard-wearing material, such as granite, quartz or marble, is still strong. These worktops provide a focal point for any kitchen and will wow your guests with their sleek finish and unique patterns. 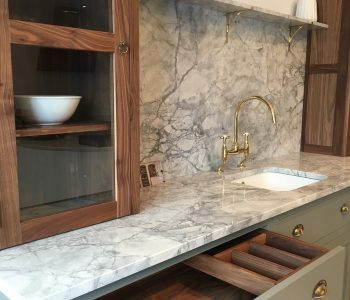 If you’re looking for a stunningly crafted worktop made out of the finest stones, come to County Stone & Granite, and we can create a bespoke worktop just for you. 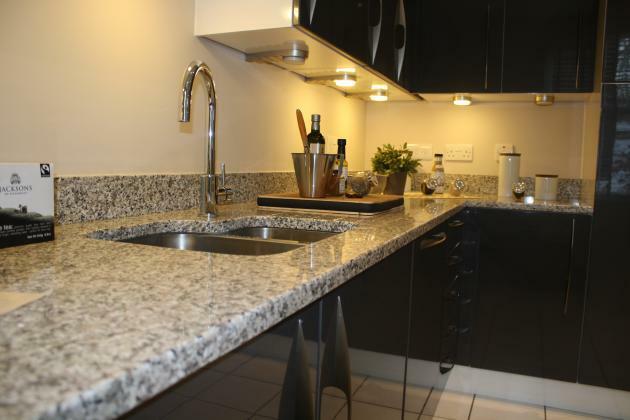 Learn more about our kitchen worktops. Lighting any room may seem like an obvious design aspect to remember but this year, the key to kitchen lighting is to hide your light source. 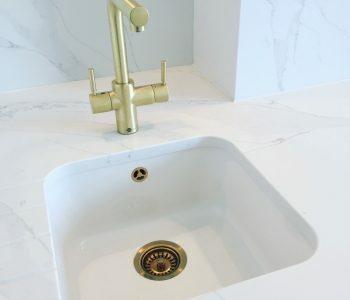 Hidden or concealed lighting is becoming more of a trend, with more people choosing LED strips and under cabinet lights to illuminate work surfaces without them being seen. 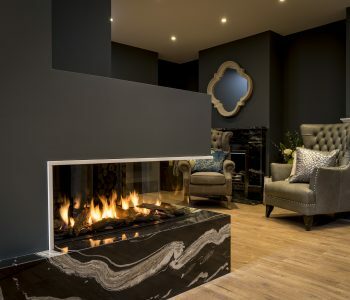 Spotlights are also a great way to add lighting to the centre of the room without a light fitting obtrusively hanging into the vertical space. If you do need a hanging light in the kitchen, pendant lights above breakfast bars and islands are big this year, which focus light on the centre of the kitchen. Last year’s kitchen trends focused on linear spaces and clean lines and surfaces. Many kitchen designs featured the removal of handles from cupboards and drawers, in favour of concealed press-openings or grooves. This year, handles are back in a big way. Popular choices for handle styles range from ornate and elegant on modern cupboards, to copper and rose gold metallics on traditional wooden cupboards. Some trends take this even further by matching the handles of cupboards to other appliances in the kitchen. However you choose to style your kitchen, we hope these examples have helped you gain some inspiration for your décor, surfaces and units. 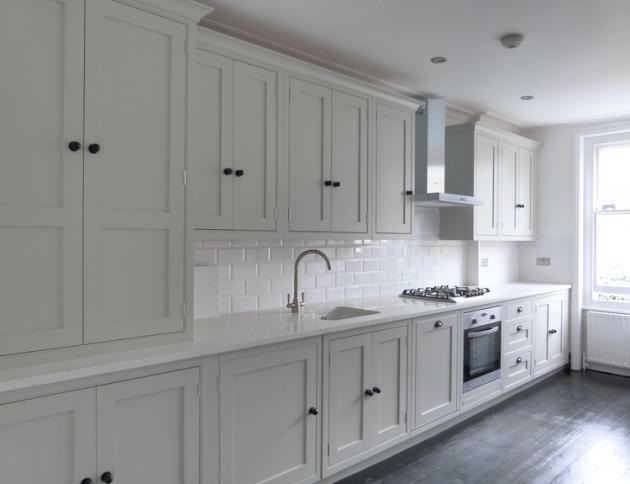 Whether you like the examples above, or you have totally different ideas, talk to County Stone today about creating a kitchen to your own bespoke designs. You never know – perhaps you’ll start something new, and we’ll be featuring your kitchen next year as one of the kitchen trends for 2019!